DISCOUNTED, FLAT FEE, ALL INCLUSIVE FAMILY LAW REPRESENTATION. "surpassing my client's expectations has always been my utmost priority. every client should have a lawyer who provides personal attention and dedication to their unique circumstances. "- adam s. jaffe, esq. 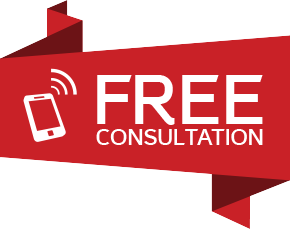 Adam believes in providing a completely FREE initial consultation. He will never set a time limit, restrict the discussion, or rush you through the process. In order to provide the elite representation and service that Adam has come to be known for, it is imperative to him that he takes the time to provide a FREE initial consultation, either in person or by phone, and discuss the matter at hand. After the consultation, each client has a clear understanding of their options, possible outcomes, and path forward. Give Adam a call today at (678) 358-5291, and come on in for a cup of coffee and a chat, or schedule your over the phone consultation! From the moment you set up your FREE initial consultation all the way through to the completion of your case, you will work with Adam, one of the top and most elite Divorce, Custody, Child Support and Family Law attorneys in Georgia, and his elite team. adam will devote himself to personally caring for your very sensitive matter. Adam believes firmly in providing his clients with absolute top shelf exclusive representation and a seamless experience from beginning to end. Over the past 19 years, Adam has become the elite of Atlanta and Georgia trial lawyers and litigators. Adam has won major cases in every single area of his Civil and Criminal Trial Practice in Georgia. He has dominated Atlanta and Georgia Courtrooms in the most complex national custody cases to million dollar verdicts to beating the Federal Government in criminal trials. His current practice areas include all simple and complex Georgia family law matters including but not limited to divorce, child custody, child support,modifications, visitation, paternity, prenuptial agreements, mediation, LGBT family rights, division of property, contempt, alimony and spousal support. His past experience, which enhanced his courtroom skills, includes simple and catastrophic auto accidents & personal injury, major medical malpractice, simple and complex criminal defense, and breach of contract. During his 19 year career, Adam has litigated, tried, settled and won thousands of cases to conclusion in Federal, Superior, State and Magistrate courts (both statewide and nationally). With his past jury verdict in the amount of $1,060,000.00, Adam achieved elite status as one of the few lawyers in the State of Georgia who has won major trials in all of his areas of both civil and criminal trial practice. Defending Eve: A Divorce Lawyer’s Secrets to Keeping Love – Not Ending It , Amazon paperback, Kindle, Audible. The Definitive Evolution Of “The Standard of Care” As Applied in Medical Malpractice Litigation, Medical Trial Technique Quarterly, Vol. 46, No. 3. It is Adam's mission not only to provide top shelf legal representation to his clients, but to make sure that ANYONE can have access to his level of experience. Because of this, Adam is one of the only attorneys to offer FLAT FEE, ALL INCLUSIVE service. Adam provides a COMPLETELY FREE initial consultation, and sets up an all inclusive, flat fee to meet his client's budget. Regardless of income level or financial circumstances, Adam will work with his clients to find a plan that works for them. Adam NEVER charges a hefty retainer, NEVER bills hourly, and INCLUDES all expenses and fees in one low flat fee. There are NO SURPRISES. Divorce, Custody, Child Support, and other Family law issues are stressful enough. Trying to figure out how to afford a top shelf lawyer should NOT add to that stress. That's where Adam comes in. Adam was raised in Atlanta, Georgia. He obtained a B.A. in Rhetoric at the University of Georgia. There, he advocated as counsel for the UGA Defender-Advocate Society, where his talent was highly recognized and rewarded. Adam was also a member of Omicron Delta Kappa (an elite national leadership honor society) and Leadership UGA (top student leaders). During his studies he was named a Richard B. Russell Leadership Fellow. Adam obtained his J.D. from Loyola University School of Law in New Orleans. There, he was President of the Loyola Law School Board of Advocates and was a member of the National Trial Team, where he won the first championship in Loyola Law school history. He also coached and won with the Association of Trial Lawyers of America trial team, and the Louisiana State Bar Trial Team, where he was named champion. "THANK YOU FOR GIVING MY DAUGHTER SOME HOPE THAT SHE CAN HOLD ON TO. I DON'T WANT TO LOSE HER, SHE IS HOLDING ON, I JUST WANT YOU TO KNOW I'M GLAD I FOUND YOU ALL FOR HER!" "DEDICATION TO his CLIENTS - I CAME TO adam AFTER SEVERAL MONTHS OF FAULTY REPRESENTATION. I WAS TIRED AND EXHAUSTED AFTER A LONG DIVORCE PROCESS. adam WORKED HARD - DEDICATED LONG HOURS - AND Was VERY INVOLVED IN MY CASE. THE END OUTCOME WAS I RECEIVED EVERYTHING I EVER WANTED AND MORE. WORDS CANNOT EXPRESS MY GRATITUDE, YOU WILL BE WORKING WITH A GROUP THAT REALLY DOES CARE!" "I WANTED TO TELL YOU THANK YOU FOR TAKING MY CASE WHEN NO ONE ELSE WOULD. I AM VERY GRATEFUL FOR YOU STANDING BY ME IN COURT EVEN THOUGH I COULD HARDLY GET THE WORDS OUT OF MY MOUTH BECAUSE I WAS SCARED AND NERVOUS. AGAIN THANK YOU THANK YOU THANK YOU VERY MUCH!" "VERY UNDERSTANDING TO OUR CASE. GAVE US ADVICE TO HELP US GET THROUGH A DIFFICULT TIME. I WOULD RECOMMEND THIS FIRM TO ANY OF OUR FRIENDS OR FAMILY. EXCELLENT SERVICE." "BEST OF THE BEST! ADAM JAFFE IS A TRUE PIT-BULL THAT WILL NOT STOP TILL YOU GET WHAT IS RIGHT! HE IS CLEARLY ONE OF THE BEST AND MOST AGGRESSIVE YET REASONABLE DOMESTIC TRIAL LAWYERS IN THE STATE OF GEORGIA. I WOULD RECOMMEND him TO ANYONE AND EVERYONE AS he is THE BEST OF THE BEST - AND REAL PEOPLE - NOT a MEAN SPIRITED LAWYER." "adam SAVED MY LIFE. I DID NOT FEEL RUSHED. YOU LISTENED AND WERE THE VOICE OF REASON AND TALKED ME AWAY FROM THE EDGE. YOU WERE REASONABLE AND TOLD ME WHAT TO EXPECT. YOU WERE THE BEST LIAISON AND MOST PREPARED ME FOR MEDIATION. WHEN IT CAME TO THE BOTTOM LINE, YOU WERE EXACTLY WHAT HE PROMISED TO BE. YOU HAD MY BEST INTEREST AT HEART AND FOUGHT FOR ME WHICH WAS WHAT EXACTLY WHAT YOU SAID YOU WOULD DO." "VERY VERY PLEASED WITH HOW THE PROFESSIONALISM WAS CONDUCTED. PLEASED WITH THE UPFRONT HONESTY OF THE FIRM. EXTREMELY PLEASED ON HOW THIS WAS HANDLED IN AN EXPEDITIOUS FASHION. EXTREMELY HAPPY WITH THE OUTCOME. I WILL RECOMMEND THIS FIRM TO MY FRIENDS, FAMILY AND COWORKERS. THE ATTORNEYS HELPED ME GET MY CHILDREN BACK FROM A DISASTROUS SITUATION. I HIGHLY RECOMMEND THIS FIRM TO ANYONE WHO NEEDS KNOWLEDGEABLE REPRESENTATION." " I JUST WON MY CASE THANKS TO THE DEDICATION AND HARD WORK OF adam jaffe. THE CASE WAS EXTREMELY SENSITIVE AND COMPLICATED. FROM THE START, he BROKE IT DOWN TO THE CRUX OF THE CASE AND STUCK TO THE LETTER OF THE LAW. he SPENT MUCH TIME AND ENERGY ON RESEARCH AS WELL AS MAKING THE EFFORT TO GLEAN ALL THE PERTINENT INFORMATION CONCERNING THE CASE. he was CONFIDENT YET REALISTIC. thank you so much for everything you did." "EVEN THE STRONGEST OF US ARE SOMETIMES WEAKENED BY CIRCUMSTANCES AND IT IS IN THESE TIMES THAT WE SEEK OUTSIDE OF OURSELVES FOR SUPPORT. LAST YEAR, I EXPERIENCED A BITTER AND TRYING DIVORCE. IN THE PROCESS, I LOST OUT ON A GREAT DEAL OF THINGS THAT I VALUED. IN TIME, THAT PAIN HEALED BECAUSE MATERIAL MATTER CAN ALWAYS BE REPLACED. HOWEVER, I STILL HAD DIFFICULTY IN CHILD VISITATION AND IN CO-PARENTING WITH MY FORMER SPOUSE AFTER THE DIVORCE. Adam HELPED ME THROUGH THIS DIFFICULT TRANSITION AND HELPED ME TO REGAIN MY INNER STRENGTH. I AM GRATEFUL FOR THE CONTINUED GUIDANCE, KINDNESS AND UNDERSTANDING. FROM THE MOMENT I WALKED INTO THE OFFICE, I KNEW THAT he DID NOT JUST LOOK GOOD, BUT THAT he KNEW his STUFF! ADAM JAFFE'S KNOWLEDGE OF THE LAW, COUPLED WITH HIS CONFIDENCE AND PROFESSIONALISM, IMMEDIATELY PUT ME AT EASE. ADAM'S FIRM GRIP OF THE LAW MADE FOR AN AMAZING LEGAL SUPPORT SYSTEM THAT WORKED AND SUCCEEDED IN GETTING ME WHAT I CAME TO adam TO ACCOMPLISH. THANK YOU FOR NOT ONLY HELPING ME IN THIS LEGAL MATTER, BUT FOR DOING SO WITH COMPASSION AND CARE. I AM ETERNALLY GRATEFUL!" -PATRICIA D.
"I WOULD HIGHLY RECOMMEND adam jaffe TO ANYONE WHO NEEDS LEGAL REPRESENTATION!" - SANDRA S.
"IT IS WITH GREAT ENTHUSIASM THAT I WRITE THIS RECOMMENDATION FOR adam. IT WAS MY DISTINCT PLEASURE TO HAVE OBTAINED THEIR SERVICES. WHEN I WAS STRUGGLING TO HANDLE MY LEGAL PROBLEMS, I CAN RECALL MULTIPLE OCCASIONS WHERE he WENT ABOVE AND BEYOND his REQUIRED DUTIES TO IMPROVE MY LIVING CONDITIONS AND ENSURE MY PERSONAL SAFETY AS he ATTENDED TO MY PROBLEMATIC SITUATION. he ALWAYS DISPLAYED UNERRING JUDGMENT, UNIMPEACHABLE INTEGRITY, AND AN UNSURPASSED LEVEL OF PROFESSIONALISM. adam TRULY CAREs ABOUT THE WELL BEING OF OTHERS. he DEMONSTRATED A UNIQUE ABILITY TO DIFFUSE VOLATILE SITUATIONS AND ACHIEVE AMICABLE RESULTS, WHEN A SUCCESSFUL RESOLUTION APPEARED TO BE UNLIKELY. I WOULD RANK adam IN THE TOP ONE PERCENT OF ALL LAWYERS." - AMY G.
"WE WERE LUCKY TO HAVE BEEN REFERRED TO ATL FAMILY LAWYERS FOR ASSISTANCE WITH A CHILD SUPPORT & VISITATION CASE. NOT ONLY WAS HE INCREDIBLY KNOWLEDGEABLE AND PROFESSIONAL, BUT HE IMPRESSED US BY TRULY CARING ABOUT OUR SITUATION AND LOOKING OUT FOR OUR BEST INTERESTS AND THAT OF THE CHILD INVOLVED. IT CAN BE HARD TO FIND AN ATTORNEY WHO GENUINELY CARES ABOUT HIS CLIENTS, BUT WE WERE GRATEFUL TO HAVE FOUND THAT IN ATL FAMILY LAWYERS GROUP. THANK YOU!" - CAMILLA W.
"I WAS VERY PLEASED WITH adam jaffe . I ESPECIALLY APPRECIATED MR. JAFFE'S PROFESSIONALISM AND ABILITY TO EFFECTIVELY RESOLVE MATTERS. MR. JAFFE IS WELL RESPECTED IN THE JUDICIAL SYSTEM AND AMONGST HIS PEERS. I HIGHLY RECOMMEND ADAM." - FRESH J. 'I WAS VERY PLEASED WITH adam's legal expertise. he MADE ME FEEL VERY COMFORTABLE AND Was ABLE TO ANSWER ALL OF MY QUESTIONS. I TRULY APPRECIATED THE HELP, PROFESSIONALISM AND GUIDANCE he was ABLE TO PROVIDE. I WOULD RECOMMEND THE FIRM TO ANYONE WHO NEEDS LEGAL HELP." - ADI M.
" THANKS FOR ALL YOU HAVE DONE FOR ME AND MY CHILDREN. I CONSIDER YOU MORE THAN A LAWYER. YOU ARE A TRUE FRIEND." -JIM A. "I APPRECIATE ALL THAT YOU DO FOR ME AND CINDY. THANKS FOR YOUR LOVE AND CARE! GOD BLESS YOU!" - MARY T.
"I JUST WANTED TO THANK YOU FOR HANDLING MY CASE AS WELL AS YOU DID. I WILL BE SURE TO CALL ON YOUR OFFICE IN THE FUTURE WITH ANY OF MY LEGAL WOES. THANK YOU." - SHANTORIA W.
"I REALLY APPRECIATE YOUR SINCERE HELP. JUST WANTED TO LET YOU KNOW. I’VE NEVER HAD ANYONE ON MY SIDE. THANKS FOR EVERYTHING." - GINNY A. "JUST WANTED TO TELL YOU HOW MUCH I APPRECIATE YOU BEING THERE FOR ME AND HELPING ME OUT IN THIS DIFFICULT SITUATION. IT MEANT THE WORLD." - CHRISTINE L.
"THANKS SO MUCH FOR ALL YOUR HARD WORK. YOU HAVE REALLY MADE A BIG DIFFERENCE IN MY LIFE. I AM NOW IN A LOVING AND CARING FAMILY THANKS TO YOU AND YOUR STAFF. MAY GOD BLESS YOU GUYS AS HE HAS BLESSED ME." - CODY H.
"I HOPE YOU KNOW HOW MUCH YOU’RE APPRECIATED. THANK YOU SO MUCH!" - MYLENE R.
"THANKS FOR ALL YOU HAVE DONE FOR ME AND FOR SUPPORTING ME—I WON’T FORGET IT." - JAMES A. "PLEASE ACCEPT OUR GRATEFUL THANKS FOR ALL YOU HAVE DONE ON OUR BEHALF. IF WE EVER NEED A LAWYER IN YOUR AREA AGAIN, WE WILL GIVE YOU A CALL. THANKS AGAIN." - JIM AND PATTI B.